Project CARS has been delayed yet again according to Slightly Mad Studios. The game was originally set for release in November 2014, but was delayed to March 20th 2015. It has now beed delayed again, but only by a few weeks. The reason for the second delay is to make “final adjustments in the game”. 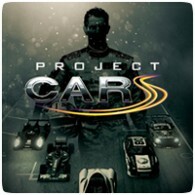 Project CARS is now due for release on April 2nd 2015.